Have you ever had one of those moments when you did something, and immediately after you felt like a complete jerk? Maybe you unintentionally said something hurtful or you lashed out at someone over something they didn’t do. Maybe you joined in on some office gossip or were unfairly judgmental towards a stranger. Maybe you were feeling stressed, distracted or overwhelmed and you overreacted to a situation or set too harsh of a boundary. You’ve been there, right? When you’ve made a mistake, or acted outside of your character. And it doesn’t feel great when it happens. You may even spend the rest of the day dwelling on the scenario – replaying it over and over again – and beating yourself up about it. After my kiddo almost took out the Georgia O’Keeffe exhibit last week, I was feeling a little flustered. He was bummed out so he was acting super clingy. And when I turned the corner (toddler in one arm, pushing the stroller with other) and the security guard approached me to say that I needed to take my backpack off of one shoulder, well, let’s just say I didn’t respond graciously. “Are you serious?! That’s ridiculous.” I said with a lot of sass and annoyance. I instantly felt like a jackass…(Because, well, I had acted like one). I was feeling stressed and in response to that stress, I treated someone unfairly. She had done nothing wrong, and regardless of how I was feeling, I had no right to treat her that way. I knew I owed her an apology. A lot of times when we’re feeling stressed we over react in situations or we act in a way that feels out of line with who we are. A lot of times it’s not so much about the situation as it is who we become in the situation. And instead of owning it, we feel uncomfortable so we try to justify, hide or avoid it. Know what happens then? You just end up feeling worse. When you’ve made a mistake or acted outside of your character you get back to yourself by owning your actions. This is why it’s so vitally important to own all of your actions – the good, the bad, and everything in between. When you do this, when you take 100% responsibility for your actions you embrace your humanness – your imperfection – and you lessen all that judgment and all those unfair expectations that you have for yourself and for others. We all make mistakes. We’ve said or done the wrong thing, we’ve let our emotions get the best of us, we’ve unfairly judged, talked to or treated someone – it’s happened to every single one of us. 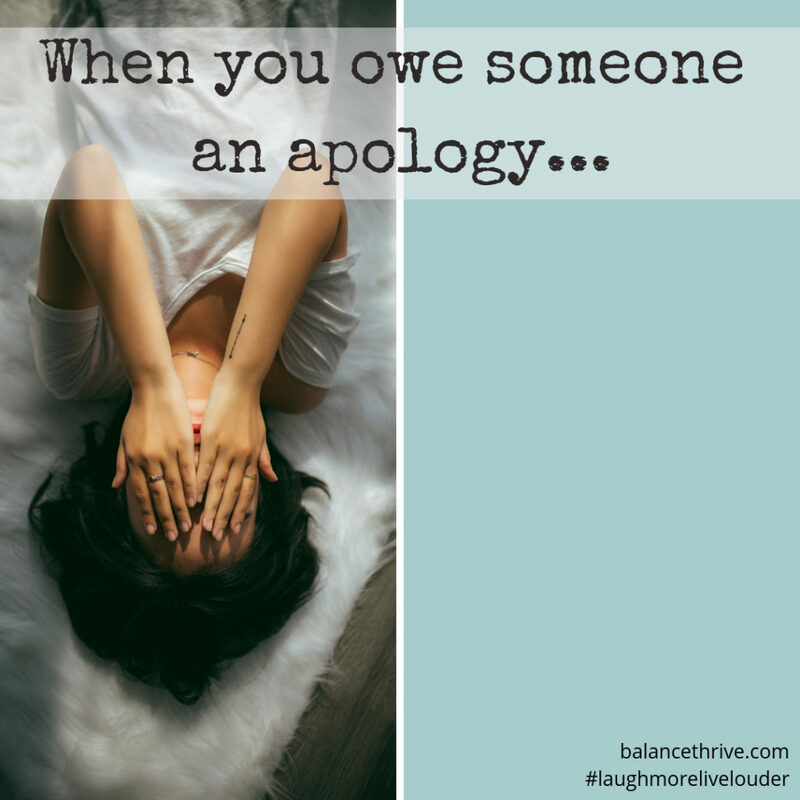 And while being in the situation may not feel great, you AND the other person will feel a whole lot better if you can own up to it, make amends and keep moving forward. This is how meaningful relationships, genuine connection and true happiness happen! P.S. 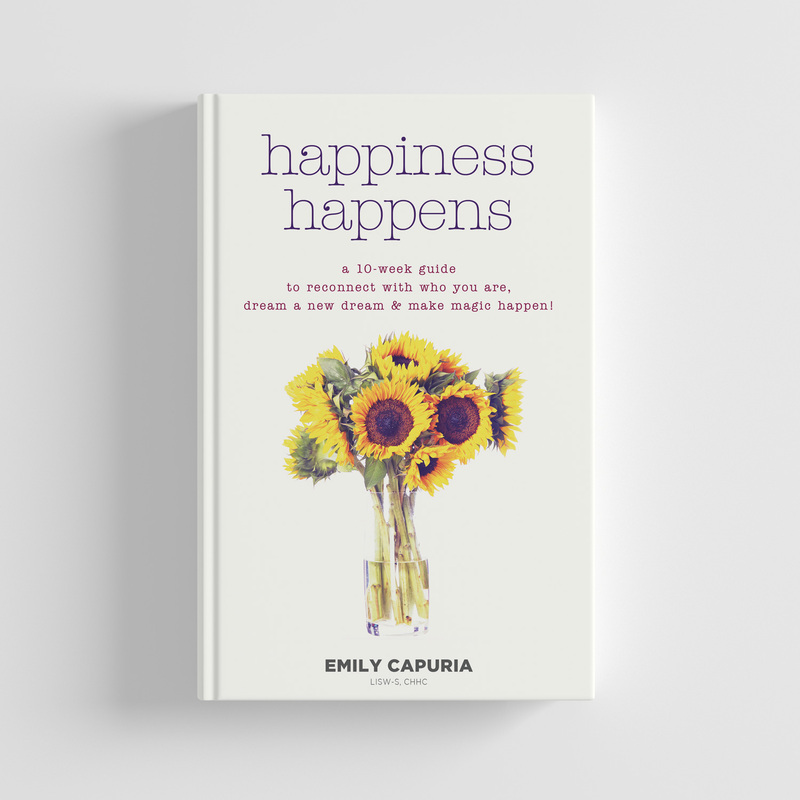 If you want to learn more about how to make your happiness happen, head over to Barnes & Noble now (click here) to pre-order a copy of my book Happiness Happens.